Total of 30 minutes levitation training per day. The first 5 exercises are done early morning, before breakfast. The last one is done while lying in bed at night before sleep. I’m also reading as many books covering the subject as possible. 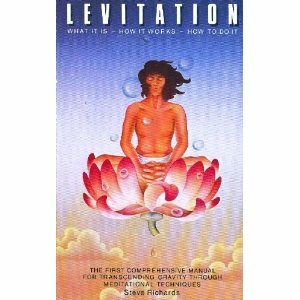 The book I’m currently reading is ‘Levitation’ by Steve Richards. Knowledge is potential power. Often I find that one profound sentence out of a whole book can radically alter my perspective of levitation. This is the kind of discipline that requires constant daily inspiration to fuel the desire to fly. What is and how do I do On-Screen Flight Visualization & Levitation Sensory Training? Also how do I visualize with my eyes OPEN? I’m not sure if i’m doing it right when i visualize with my eyes open the sky seems like some brownish shade of blue which doesn’t feel right.